I stumbled across this forum while doing research for building a box tanpura. Turned out pretty well. And was a helluva lot cheaper than buying one. Thought I'd share how I did it, and of course ask a lot of questions. Quick info about it. It's roughly 66" long, the box portion is 5 feet. 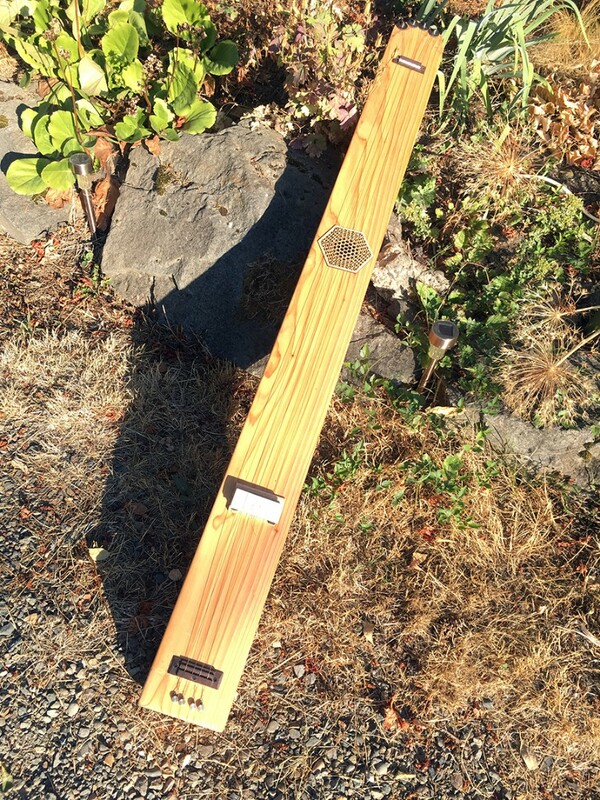 Built out of cedar fence planks. 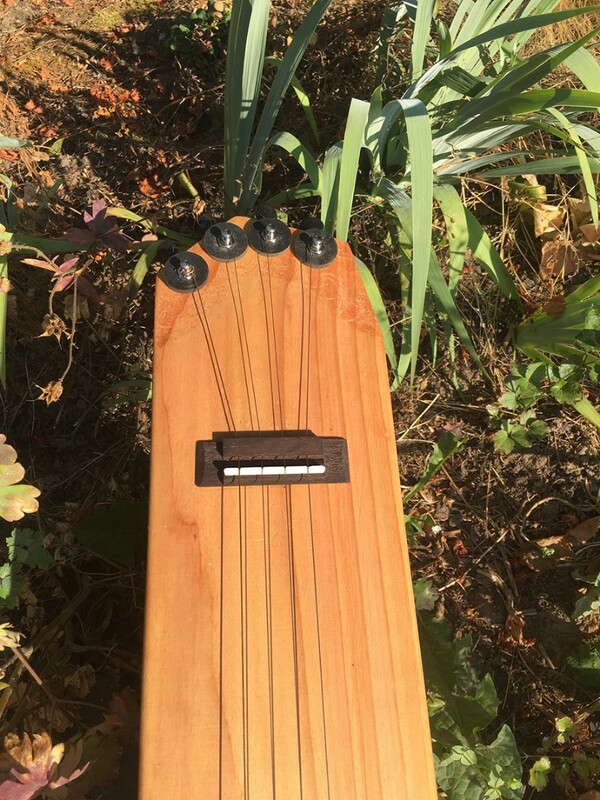 Machine tuners, ukelele bridges, a male tanpura bridge, and 72" strings (.022", .018", .018", .028", Banjira Male Tanpura strings, bought from Amazon). The scale length is roughly 48–52" (120–132 cm), depending on where I've positioned the bridge. It has a soundhole, covered with a laser cut filigree. The bridge has gone through several changes. Initially I was altering the slope of the bridge by sanding down the feet, until they became quite short. In these pics the bridge is shimmed. So. It sounds decent. I think. I like it, anyway. It's funny, as I've been sinking deeper and deeper into research on building it, I've watched a lot of videos, and the tanpura sounds range from apparently nothing but shimmering overtones where you have to concentrate to hear the actual string pluck, to a sound I've begun calling the Miraj Garbage Truck, rattling and buzzing, angry sounding. And I think my untrained western ears might be enjoying the presence of any overtones, while a aficionado might hear unbalanced, poorly shifting, or just plain bad tones. First, it's an awfully big box with a really big scale length. I'm thinking the instrument has a natural resonance "preference". And that the strings and tuning should be adjusted to match, correct? Ideas on finding what tone it best resonates to? I suspect the strings should be thicker, but for now I'll stick with a matched set that are long enough and pre-looped. I am concerned that they may be tuned too low (the twins are tuned to A3, about 216hz, though the overtones might be messing with my tuner). They start sharp when plucked hard and drift down. Sigh. 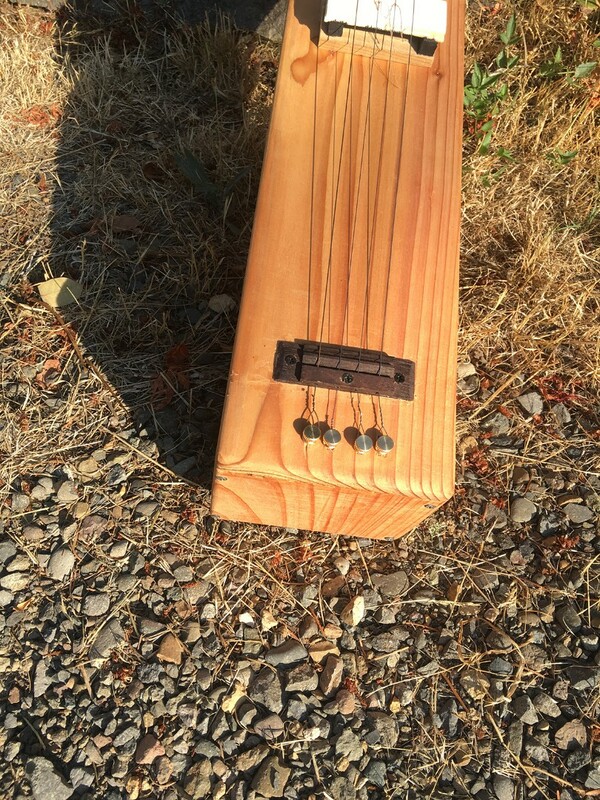 The bridge is obviously the heart of the tanpura. And mine is rough. The bridge I bought was rather flat. The scant resources I found online suggested it should be flat-ish in the middle, curved down towards the "trench" and string guides, and curved an a parabola at the front. Though now I suspect that's the jivari setup for a sitar bridge. To get overtones, the threads end up being far back on the bridge. Though the twin Sa strings can get the same overtones with the thread much closer to the front, but so loose under the string that the threads vibrate and soon move out of position. Sign of a bad jivari, I assume? Martin (God bless him) describes the tanpura bridge as being entirely curved. I plan on attempting to reshape my bridge to be closer to the pic Martin has posted on the Jivari Wikipedia page. Any tips, info, prayers for doing the jivari would be appreciated. And about the threads. Turns out there's a huge variety of thread thicknesses. Who knew? I've had varying degrees of success with threads both thin and hefty. Again, I think the jivari needs some work. Is there a typical thread thickness/type that is used? Thanks, and ?? ?s or !! !s would be appreciated.